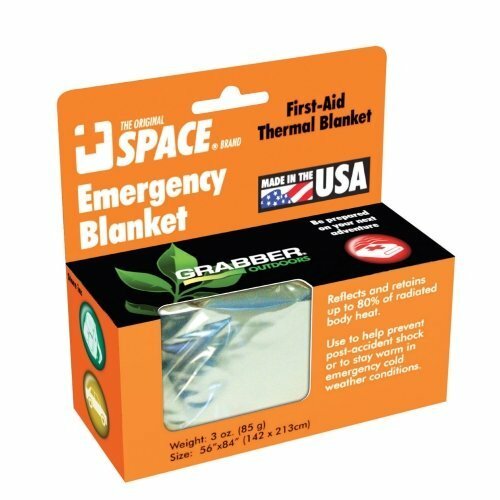 Grabber Silver Emergency SPACE Blankets 24 count. Each weighs less than 3 ounces and fits easily in your pocket, car glove compartment, tackle box, etc. A must have safety precaution.